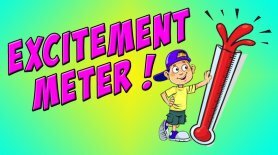 Minions are small, yellow creatures who have existed since the beginning of time, evolving from a single organism into beings who exist only to serve history's most despicable masters. And now they feature on our bouncy castle! See how many people notice they are upside down on the back wall ! They are supposed to be, it's the design of the bouncy castle! This is always a castle that gets noticed and remembered. "We loved these little cuties! 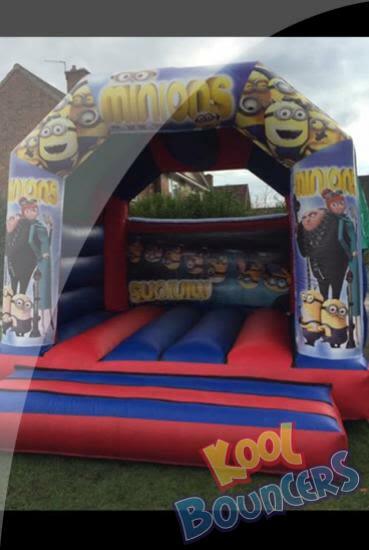 Minions was a great hit with everyone at our party"
"I was surprised how hard it took me to find a company that had a Minions castles but now that I've met the Kool Bouncers crew, I won't be going anywhere else"